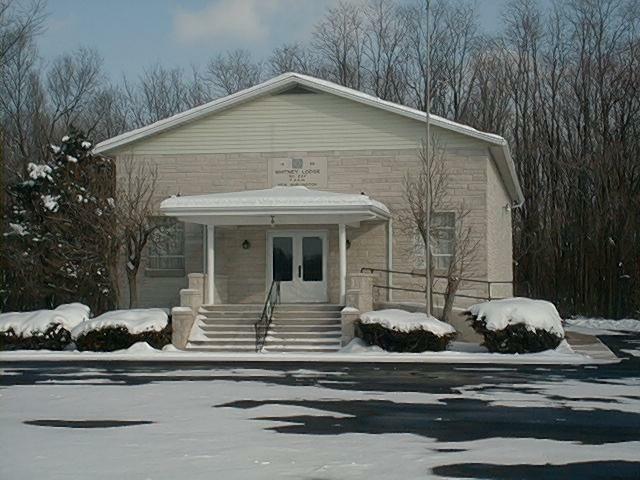 Whitney Lodge # 229 is located southeast of Muncie IN in the small town of New Burlington IN. 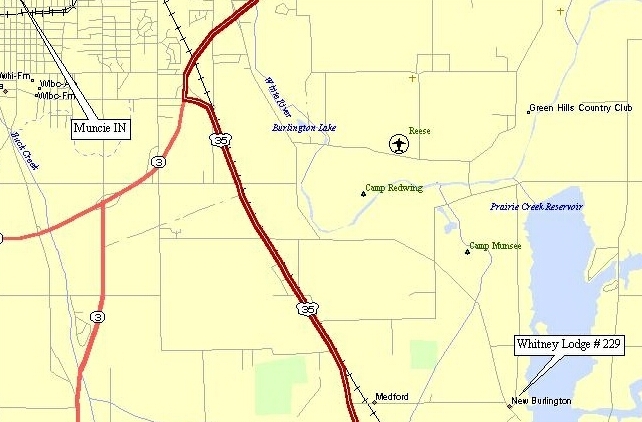 You can get to our lodge by going south out of Muncie IN on State Road 35 South. Scroll down for further instructions. The lodge is on the right hand side of the road. We are looking forward to seeing you at our Lodge. Link to picture of our lodge building.